For this card, I used the wonderful Declicate Blossoms stamp, it's one of my favorite HA stamp. I colored it with Spectrum Noir markers (CT4+GB3+GB5). I stamped some of the flowers twice to hand cut them to create a 2D effect. 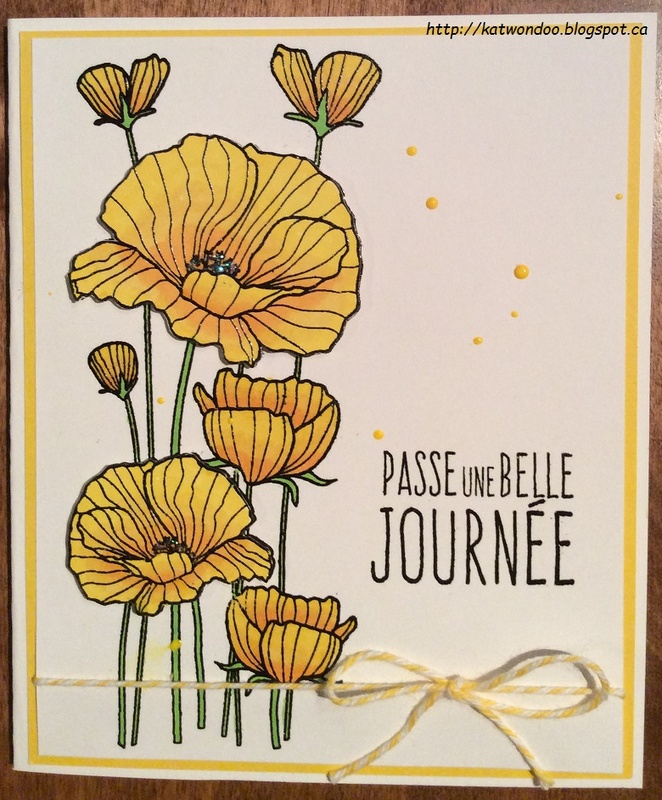 I then added my yellow twine and stamped my sentiment (Have a great day). I added some Stickles on the center of my flowers and added randomly yellows drops on my card. Voilà! Such a pretty card. I love the yellow!